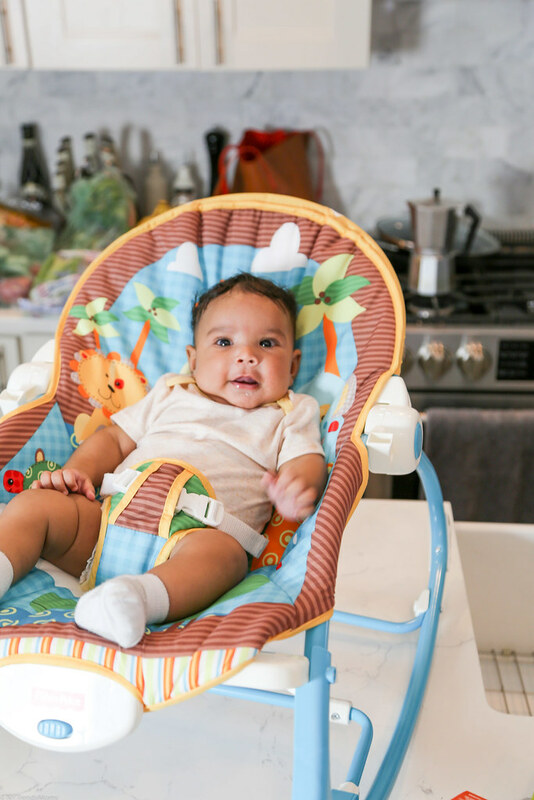 NY Trendy Moms: What to Feed your Baby? Since James isn't ready to eat this, my daughters and I have been enjoying them instead. They are so delicious. It's hard to believe it's good for you. My favorite flavor is the Apple & Pear but my girls prefer the Apple, Mango & Carrot. There's also a Strawberry, Banana, Oats & Chia flavor available too. 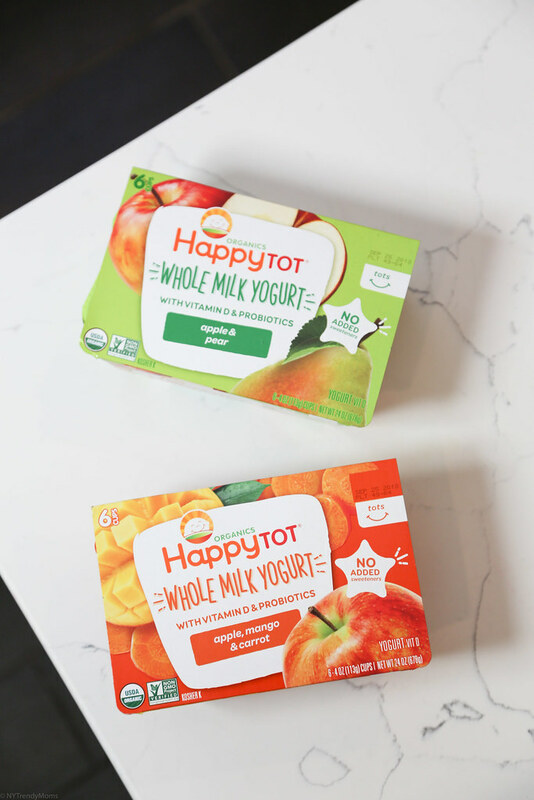 So much goodness the entire family can enjoy. See more details here. Como James no está listo para comer esto, mis hijas y yo hemos estado disfrutando de ellos en su lugar. Son tan deliciosos. Es difícil de creer que sea bueno para ti. Mi sabor favorito es Apple & Pear ( Manzana y Pera) pero mis chicas prefieren Apple, Mango & Carrot (Manzana, Mango y Zanahoria). También hay disponible un sabor a Fresa, Banana, Avena y Chía (Strawberry, Banana, Oats & Chia). Tanta riqueza que toda la familia puede disfrutar. Vean más detalles aquí. 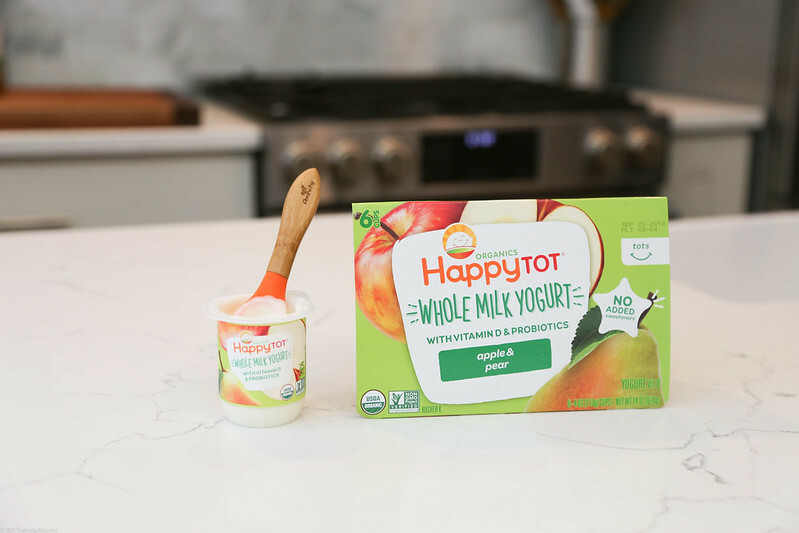 Happy Tot organic Whole Milk yogurt- is the ONLY brand in the dairy aisle that never has added sweeteners and thoughtfully crafted with organic ingredients, probiotics and whole milk. 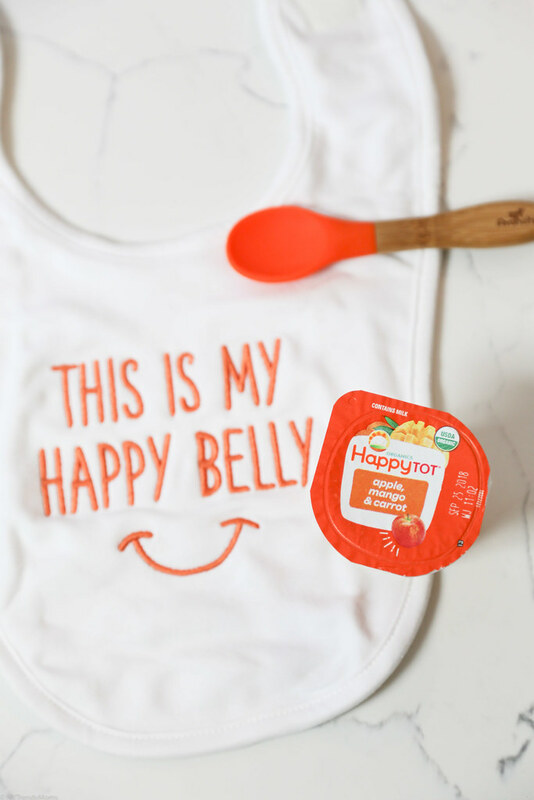 There's nothing more important than knowing what you're feeding your little ones. That's why I can't wait to introduce James to this line of yogurts. 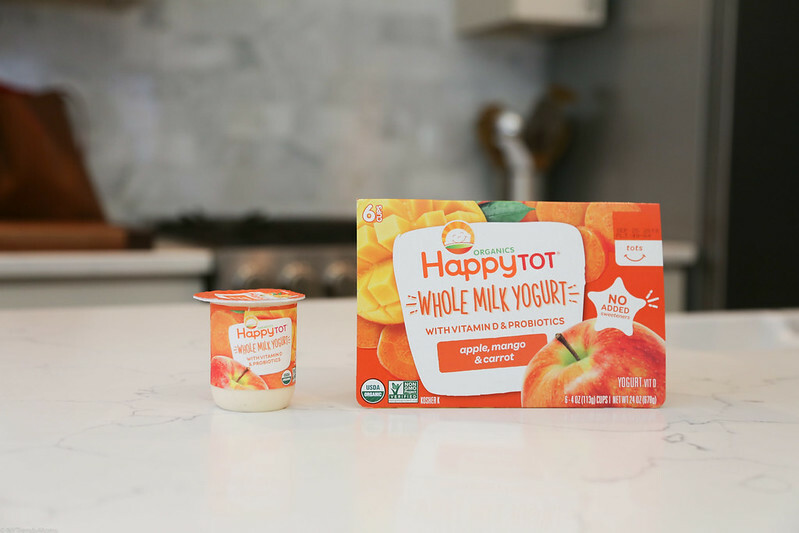 Happy Tot Organic Whole Milk Yogurt- es la ÚNICA marca en el pasillo de productos lácteos que nunca agrega edulcorantes y elaborado cuidadosamente con ingredientes orgánicos, probióticos y leche entera.